An exhibit by the Chelsea Hunger Network is now installed at Gallery 456 and will remain until the day of its community fundraising event on April 18, the 8th Annual Chelsea Empty Bowls. Since September of 2018, 19 groups have convened over 300 “community artists” in Chelsea to paint a variety of ceramic bowls and mugs. A selection of these colorful pieces of practical art, all fired in the kilns of Salem State’s Art + Design department, are now on display in the gallery. Next to the exhibit of the decorated ceramics, a collage depicts various artists showing off their work as well as groups and individuals at work. Many photographed are widely recognized community figures including Chelsea’s City Manager, Tom Ambrosino. Another section of the gallery displays large color posters revealing the identity of the 19 participating groups and gives additional background on the Chelsea Hunger Network. An infographic outlines the contributing factors leading to an increase in food insecurity and hunger in our community. The 8th Annual Chelsea Empty Bowls event will take place on April 18, from 5-7 p.m. at the Williams School at 180 Walnut St. Choose one of the hundreds of bowls and mugs and serve yourself from an all-you-can-eat menu of delicious clam chowder, chili, soups, and Toscanini’s ice cream. Tickets are $20 ($25 at the door) and can be purchased online at www.eventbrite.com under “Chelsea Empty Bowls”. Children under 8 years old are free. A small order on the Feb. 25 Council agenda likely didn’t attract a lot of attention at the regular meeting, but Council President Damali Vidot said she had hoped it could have sparked a conversation. That measure, which she introduced, revolved around looking at the possibility of allowing non-citizens that are here legally to vote in municipal elections. Instead, she said, she was greeted with silence – and a ‘no’ vote. The roll call consisted of a 5-6 defeated vote, with Vidot and Councillors Judith Garcia, Yamir Rodriguez, Enio Lopez and Giovanni Recupero agreeing to begin talking about it. Those voting against were Councillor Roy Avellaneda, Calvin Brown, Joe Perlatonda, Luis Tejada, Leo Robinson and Bob Bishop. Vidot said she fully intends to bring the matter back in 90 days. Other cities in Massachusetts have voted to allow non-citizens to vote, including Cambridge and Brookline. Such a petition by the Council would require a home rule petition by the State Legislature. It would also require legislative action by the State House as well. The measure in Chelsea would not allow non-citizens to vote in state or federal elections. A roomful of commuters and elected officials roundly rejected proposed MBTA fare hikes during a public meeting on Wednesday, Feb. 27, at the State Transportation Building in Boston. Steve Poftak, general manager of the MBTA, outlined the increases, which would go into effect July 1 and raise fares an average of 6.3 percent system-wide. Under the proposal, the cost of a local bus Charlie Card would increase to $1.80 from $1.70 while a subway Charlie Card would rise to $2.40 from the current $2.25. The monthly LinkPass, which provides unlimited bus and subway travel for one customer, would jump to $90 from $84.50, and a seven-day LinkPass would rise to $22.50 from $21.25. The proposed fare increase would bring in $32 million in additional revenue to help recoup losses against the budget shortfall of $111 million projected for the next fiscal year. The last hike came in July of 2016, which raised fares an average of 9.3 percent across the system, but since that time, the Legislature has passed a law limiting fare hikes to a maximum of 7 percent every two years. After Poftak’s opening remarks, City Councilor Michelle Wu presented T officials with a petition she circulated calling for unlimited year-round passes for seniors and children, as well as a lower fare for the city’s poorest residents, which had already garnered 2,700 signatures by the time the meeting commenced. State Rep. Adrian Madaro, who represents East Boston, read from a letter on behalf of the Boston Legislative Delegation urging the MBTA board of directors to hold off on fare hikes at this time. James White, chairman of MBTA Accessibility Advisory Committee for the past 18 years, advised against raising fare until after planned improvements are made to the Red and Orange lines, including the replacement of both fleets by 2023. State Rep. Tommy Vitolo, who represents Brookline, took to the podium with a can of Arizona Iced Tea in hand. “It costs 99 cents, says it right on the can,” he said. “It has cost 99 cents for 18 years. What the good people of Arizona Iced Tea figured out is if you don’t improve the quality of the tea, you don’t raise the prices,” Vitolo said before drinking from the can as the audience applauded him. The fare increase would put an even bigger burden on commuters living outside the city as illustrated by statements from Egan Millard, a 27-year-old Weymouth resident who works in Cambridge and currently pays $217.75 for his monthly commuter rail and subway pass. Fresh off of a new contract, City Manager Tom Ambrosino gave an enthusiastic opening to Monday’s Council meeting during his State of the City Address, where he talked about Chelsea’s accomplishments in 2018 as well as its goals for 2019. “I feel confident in saying that the state of our City of Chelsea is very good indeed,” he started. Among the achievements of the past year, Ambrosino noted that the City ended 2018 with an excess of $28 million in its coffers. In 2018, Chelsea was also one of only 35 cities in the country to be awarded a Bloomberg Challenge grant for its vision to reduce crime with preventative care. Ambrosino cited the City’s increased development in 2018, such as the construction of two new hotels and the multi-million dollar expansion of a pharmaceutical company. He also mentioned the $10 million grant by the state to reconstruct Broadway from City Hall to the Revere Line, as well as a $3 million federal Economic Development Administration (EDA) grant to renovate Chelsea’s waterfront, one of the largest grants given by the EDA to any municipality in the country in 2018, and one of the only grants issued in Massachusetts. In terms of goals for 2019, Ambrosino highlighted the effort to renovate the downtown Chelsea area, building on the foundational work done in 2018. Ambrosino outlined four areas of improvement for downtown Chelsea: finalizing the design for the infrastructure improvements for one-way schemes, adopting the necessary zoning permissions to improve the facade of the corridor, offering a rich array of cultural and artistic activities, and submitting a request for proposal (RFP) for the redevelopment of the former Salvation Army site. The City Manager threw his support behind the Forbes Proposal, which is up before the City Board of Appeals next month for the redevelopment of the Chelsea waterfront, claiming that it will include affordable condominiums for Chelsea residents looking to become homeowners. Ambrosino also mentioned the planned infrastructure and capital improvements for 2019, including work to the Chelsea Greenway, the Chelsea Garden Cemetery and Veterans’ Field. This would all be in the context of a master plan, the first of its kind in Chelsea since the 1970s. 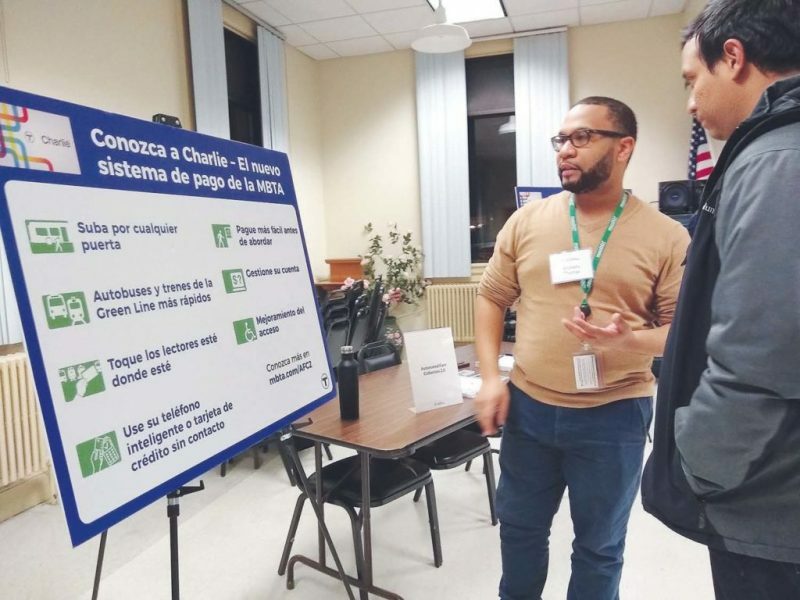 The City Manager emphasized the importance of investing in affordable housing as well as in education, specifically for grants to allow high-achieving, low-income high school students in Chelsea to attend Bunker Hill Community College free of charge. The City Manager’s State of the City address can be viewed on the Chelsea Community Cable’s YouTube channel here: youtu.be/lRVWajXR44w. The announcement last week by House Speaker Robert A. DeLeo that the state will be investing $1 billion over the next decade to help communities across Massachusetts adopt technologies to reduce greenhouse gas emissions and fortify infrastructure is welcome news to everyone who realizes that time is running out if we are to offset the inevitable effects of climate change that already are taking place all around us. The proposal – known as GreenWorks – builds on a long-standing approach by the House under Speaker DeLeo’s leadership to provide the means for our cities and towns (especially along the coast) to build sustainable and resilient communities that hopefully will prepare us for the impending threats posed by rising sea levels and catastrophic weather events. Environmental groups and clean-energy businesses across the state have praised the plan. The $1 billion investment envisioned by the GreenWorks proposal not only will provide cities and towns with the ability to cut greenhouse gases and lower their long-term energy and operating costs, but it also will adopt Massachusetts-made innovative technologies that will put people to work on clean-tech infrastructure projects. These competitive grants, to be administered by the governor’s Office of Energy and Environmental Affairs, will provide funding for a wide array of projects, including energy-efficient buildings, solar, microgrids, energy storage, electric vehicle charging stations, and resiliency infrastructure. Inasmuch as the GreenWorks plan presents an opportunity to pursue innovative approaches to funding clean energy and climate-change resiliency projects, the economic and environmental benefits of GreenWorks grants will be felt immediately, while also expanding the state’s commitment to embracing cost-effective investments in leading-edge clean technologies. In our view, the GreenWorks program represents a timely part of the overall solution that is essential if we are to address the imperatives we face from the looming catastrophe of climate change. We applaud Speaker DeLeo for taking the lead in advancing a plan that acknowledges this reality and the need to deal with it immediately. Chelsea High track star Stephanie Simon captured second place in the long jump at last Saturday’s All-State Meet that was held at the Reggie Lewis Center. Simon was in third place approaching her third and final jump of the day, but her leap of 18′-2.25″, which was five inches better than her top jump to that point, propelled her into the second spot, behind only Jada Johnson of Sharon, who had the best jump of the day at 18′-6.75″. Stephanie had advanced to the all-states by taking first place the previous week in the Division 2 meet with a jump of 17′-9″. Thanks to her second-place finish at the all-state meet, Simon now will compete in the All-New England Meet this Saturday. Simon also competed in the 55 meter dash on Saturday, finishing in 16th place with a clocking of 7.48 seconds. Stephanie had grabbed third place in the D-2 Meet the week before to advance to the all-states. There is no stopping Chelsea High track star Stephanie Simon. Simon continued her spectacular junior season by winning the Division 2 state long jump title Saturday at the Reggie Lewis Track Center in Roxbury. Designated as the No. 1 seed in the competition based on her performance this season, Simon jumped 17 feet, 9 inches to claim the first-place medal. Simon, who was undefeated this season in the Commonwealth Athletic Conference (CAC), became the first female athlete in school history to win a divisional state indoor track title. Chelsea High girls track coach Cesar Hernandez said Simon had an outstanding day, putting the 17-9 jump on the scoreboard on one of her first jumps. “I was very excited to see her win the Division 2 state championship,” said Hernandez, a 2010 CHS graduate who competed in the Red Devils’ boys track program. Simon reigned over the CAC indoor track circuit this winter as a champion in the long jump, 55-meter dash, and 55-meter hurdles.